Gene Scans For Newborns Open Big Privacy Questions : Shots - Health News A study offering the parents of newborns a scan of thousands of the baby's genes raises a big question: Do you want this kind of information on disease risk in your child's permanent record? 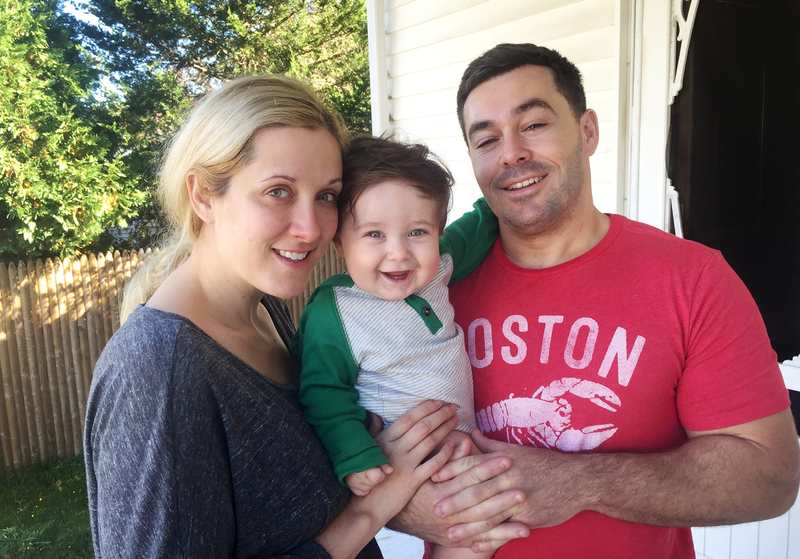 Just about every day, genetic counselor Shawn Fayer heads to the maternity ward at Brigham and Women's Hospital in Boston and tries to convince new parents to give him a blood sample. 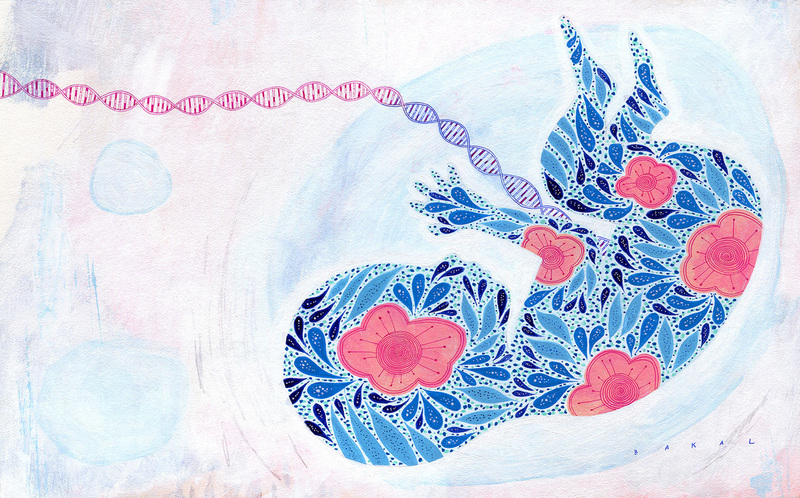 Fayer is offering gene sequencing for newborns. It gives parents a tantalizing look at their baby's genetic information. New parents Lauren and Ian Patrick, from Marion, Mass., were excited when they were first approached earlier this month. "My initial reaction — why wouldn't someone do this? Why wouldn't they want the information?" Ian Patrick says as he cradles his newborn son, Finn. "For me, more information is better, even if it's not always good." If his parents sign him up, Finn would join the BabySeq project, an NIH-funded study led by Dr. Robert Green, a medical geneticist at Brigham and Women's Hospital, and Alan Beggs at Boston Children's Hospital. With genetic testing getting cheaper and cheaper, Green wants to figure out what happens when parents know their child's genetic blueprint from day one. Half of the babies who join the study will have their protein-coding genes sequenced and screened for variants that are associated with diseases of childhood, with a method called whole-exome sequencing. The other half will get the regular heel-prick blood test offered to all newborns, which screens for major genetic disorders like cystic fibrosis. Researchers will follow both sets of babies to figure out how genetic sequencing impacts them. They want to find out if knowing the kids' genetic makeup could actually make them healthier, or if it could increase their health care costs, or even change their relationship with their parents. "We are looking for all sorts of unanticipated variations in DNA," Green says, "and we say right up front we don't know what they all mean. We don't know what they're all going to mean for your baby." Green is particularly interested in a list of 1,514 genes where there are good reasons to reveal a mutation because a disease might be treated or prevented. But there are so many changes in everyone's DNA, he says, he's finding something to report in every baby he sequences. Right now, that's a pretty small number of babies. Green has sequenced the genes of 51 newborns so far, and he's found five who have genetic mutations families wouldn't have known about otherwise. Two babies have pharmacogenetic variants — mutations that mean certain drugs might not work as well on them. Three have mutations associated with heart conditions they inherited from a parent. Both the babies and their parents appears to be totally healthy. One of those babies is Kai Gracia. His parents, Alyssa and Jason Gracia, agreed to the test when Kai was just a few days old. They didn't expect to find much. Alyssa was genotyped a few years before, and the information she got was mostly trivial — she learned she metabolized caffeine particularly quickly and she discovered she didn't have the photic sneeze reflex, meaning she wasn't likely to sneeze when suddenly exposed to bright light. So when the results on her baby came back, she was shocked. Right there in Kai's genetic report was this: supravalvular aortic stenosis. Alyssa and Jason Gracia agreed to have their son Kai's genes sequenced when he was just a few days old. It turns out Kai has a mutation in a gene that codes for a protein called elastin. Elastin helps heart muscles bend and stretch. Not producing enough of it can cause the aorta to narrow. People can die from this, or need multiple surgeries as they grow. Now that she knew her baby might get sick, Alyssa Gracia had lots of questions. Would Kai be able to play sports when he got older? Did he need surgery? Could crying too much be dangerous? She made appointments with pediatric cardiologists and brought in Kai's genetic report. One doctor said he looked fine, and only needed to be monitored every few years. Another said his parents should bring him back after just a few months. Usually, a condition like Kai's isn't diagnosed until a child is showing symptoms. That means doctors still aren't quite sure how to treat Kai. This is the kind of story that both thrills and terrifies the observers of this new technology, according to Green. "There's no consensus on how to manage these findings," he says. And it's unclear if the follow-up is worth it, or if it might actually do harm. Gene sequencing reveals medical information about not just one person, but potentially a whole family. So all that follow-up is being done not just on Kai, but on his dad and his grandmother — all people who might be carrying this gene and might be at risk themselves. So what can families do with all this information? Dr. Green says that for one family, this genetic report was potentially lifesaving. It showed an inherited mutation in the baby's BRCA2 gene, which increases the risk of breast, ovarian, prostate and pancreatic cancers. This means not only is the baby at risk, but the child's mother or father could be, too. Before they told the family, the researchers had to deal with "a really pernicious ethical problem," says Green. He and his colleagues had agreed they would only tell parents about genetic variants that could impact babies in childhood, since the children weren't able to decide for themselves whether they wanted to know their genetic risks. BRCA2 causes cancer in adults, not children. But this information was so important, Green decided to break protocol. Lauren and Ian Patrick decided not to have their son Finn's genome sequenced. "You know what the first four words were out of the mother's mouth when she was told?" Green asks. " 'Oh, that explains it.' "
It turns out the mother knew distant relatives who had died from cancer, but she hadn't thought it meant anything for her. 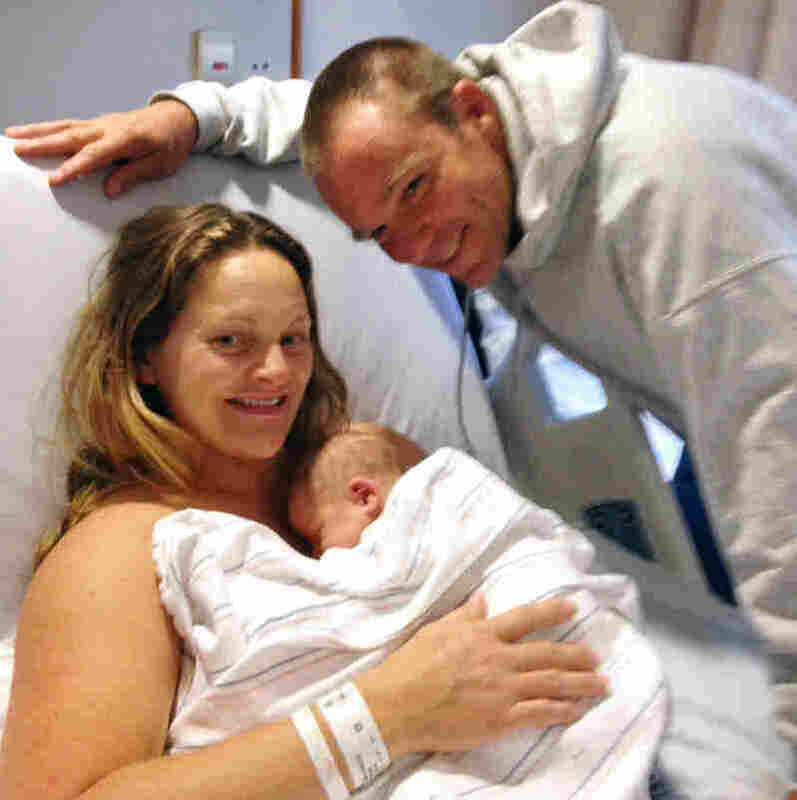 Without her baby's test, she might never have learned about her own risk. Not every mutation is actionable like this. Green is also finding a lot of single recessive mutations for conditions like cystic fibrosis, Tay-Sachs and sickle cell. Since it takes two mutations, one each from mother and father, to cause the disease, it becomes an issue only when these babies grow up and decide to have children themselves. One thing Green hadn't anticipated is how hard it has been to convince new parents to do this screening in the first place. Early research showed the majority of parents were interested in the medical information. But 94 percent of parents Green and his team are approaching are saying no. Lauren and Ian Patrick, the parents of baby Finn, are a good case study. Initially, they were convinced they wanted the screening. But after an hour talking to a genetic counselor about all the ways this sequencing could go wrong, they decided against it. They learned that any genetic sequencing would go in their son's medical record, and it wouldn't be able to be removed. And while federal law prohibits genetic discrimination by health care providers and in the workplace, life insurers can still use genetic information to pick and choose whom they'll sell policies to. By the time the meeting was over, the Patricks' excitement had been replaced with concern. "It really gave me pause that this would be part of the medical record that private companies would have access to," Lauren Patrick says. "That was my full stop in the end." After all, for the first time she's making a decision for someone who has no say, she says. "That's the biggest thing on my mind, this new dynamic."